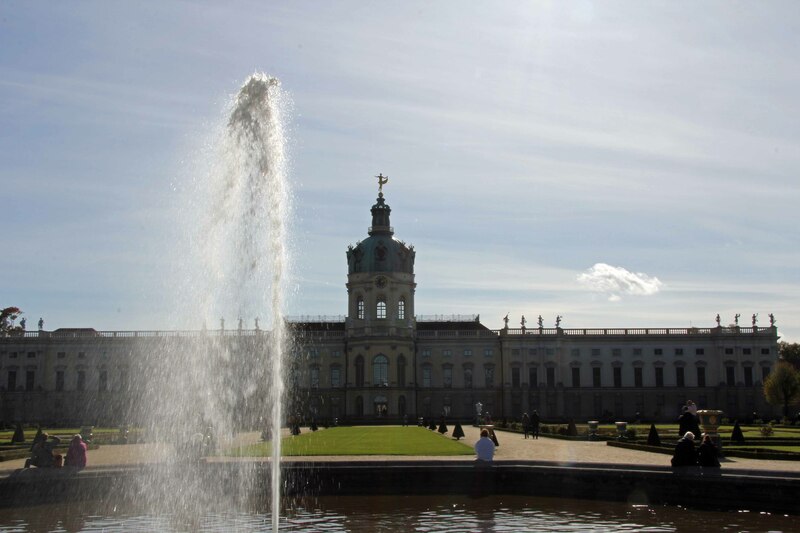 Schloss Charlottenburg in Berlin was built as a summer palace for Sophie Charlotte, by her husband, the Elector Friedrich III. 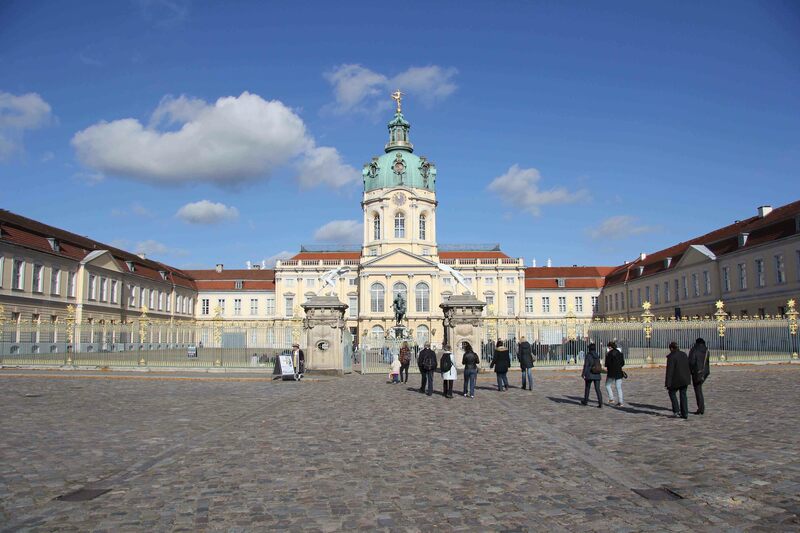 At the time of its construction the palace was in the village of Lietzow and was named Lietzenburg but both the palace and area were renamed Charlottenburg after Sophie Charlotte’s death in 1705. 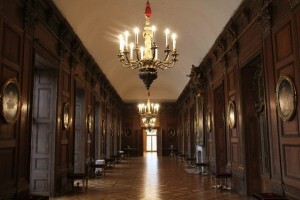 Sophie Charlotte was a devoted patron of the arts and sciences and her palace was beautifully decorated and appointed. 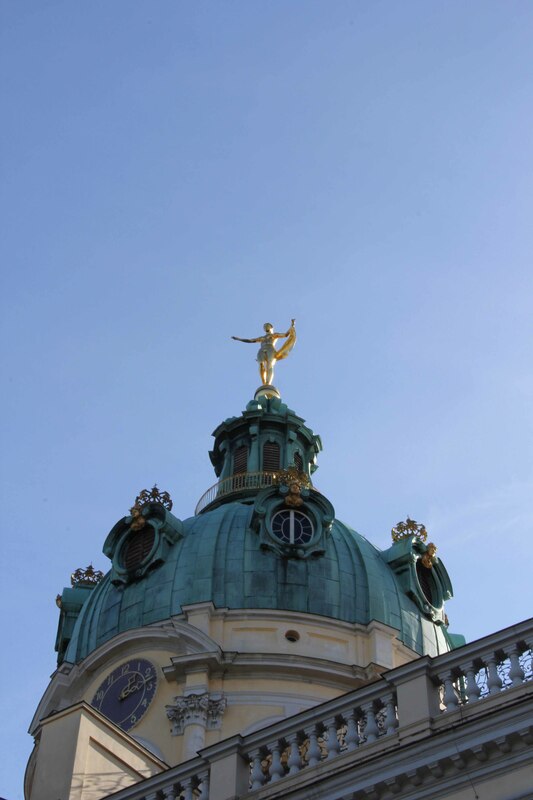 The inside of the palace is so breathtaking that it deserves a post of its own. 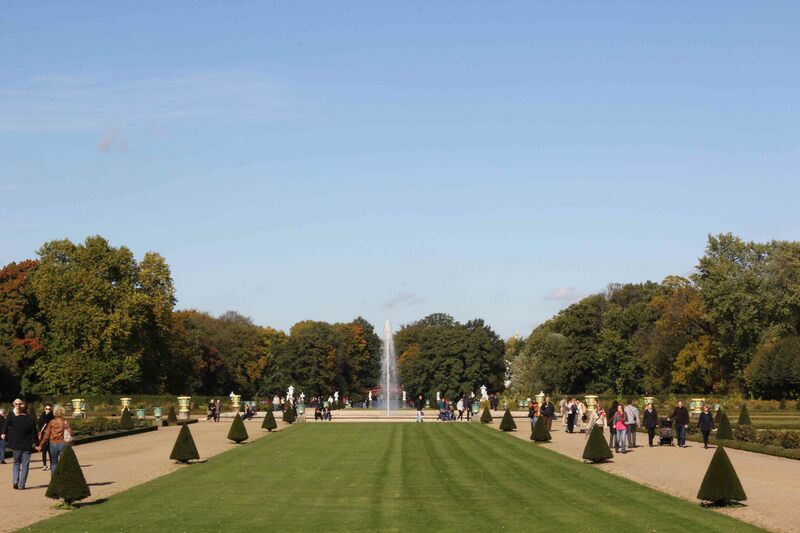 The Palace Gardens at Schloss Charlottenburg are in keeping with the grandeur of the palace itself. 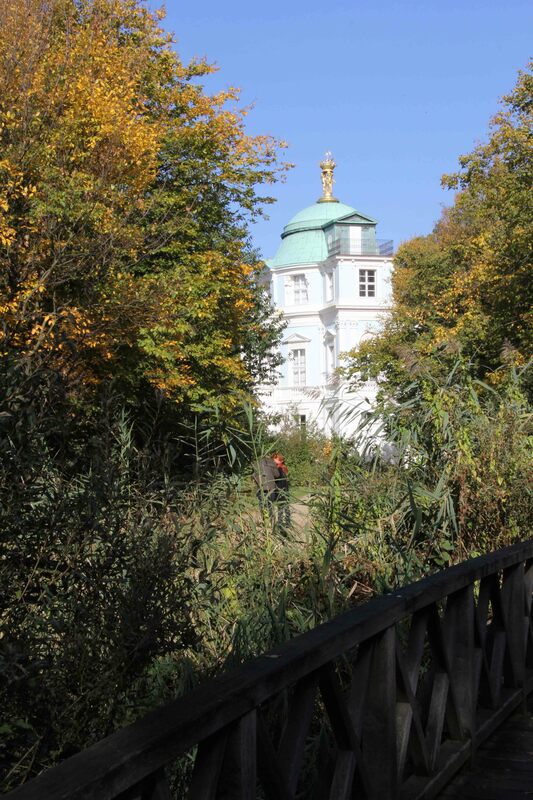 It costs €12 to enter the Old Palce but access to the gardens is free so if you are limited by budget or time it’s worth the trip to Charlottenburg just to stroll here. 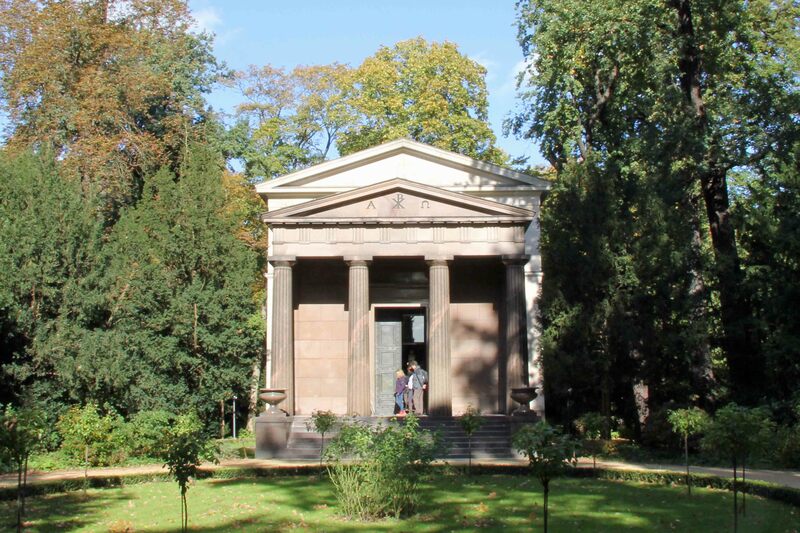 The Mausoleum, designed by Heinrich Gentz, with further additions by Karl Friedrich Schinkel, was built to house the remains of the Hohenzollern family. 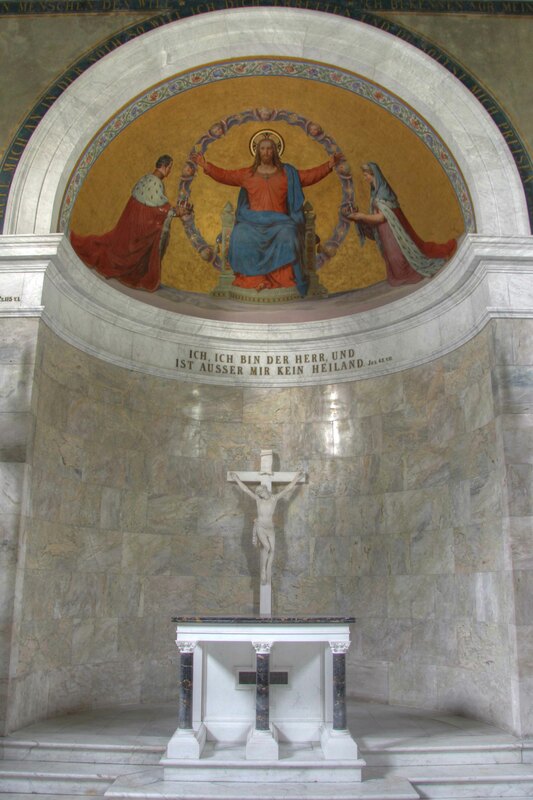 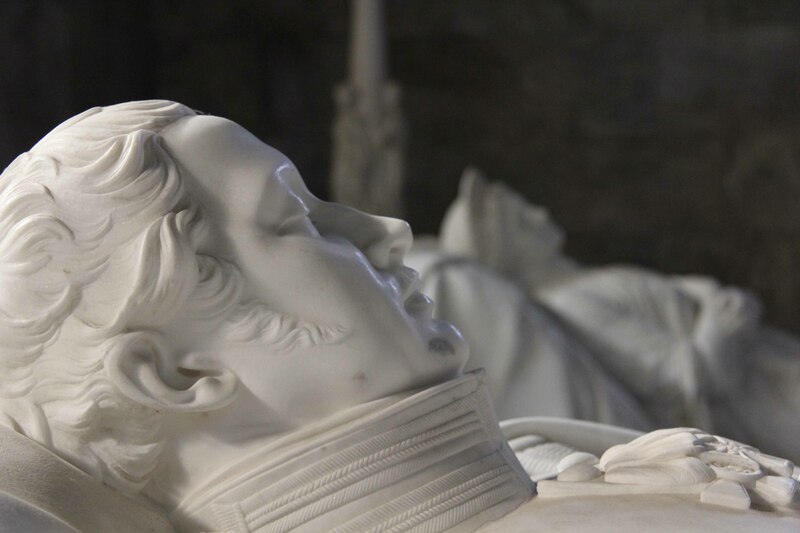 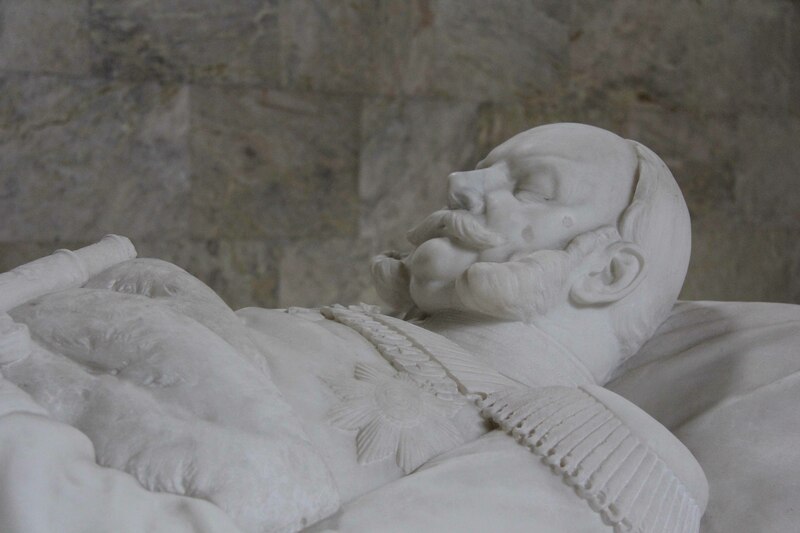 For €2 you can enter the Hall of Remembrance in the Mausoleum to see the four marble grave statues of Queen Luise (Königin Luise), King Frederick William III (König Friedrich Wilhelm III), Kaiser William I (Kaiser Wilhelm I) and Queen Augusta (Kaiserin Augusta). 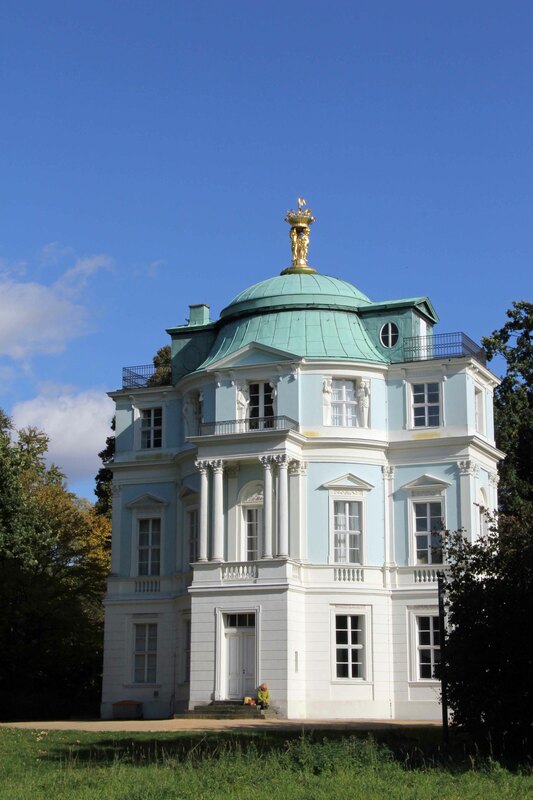 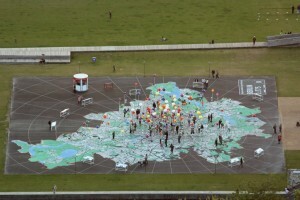 The Belvedere houses the Berlin Porcelain Museum – a collection of more than 700 exhibits. 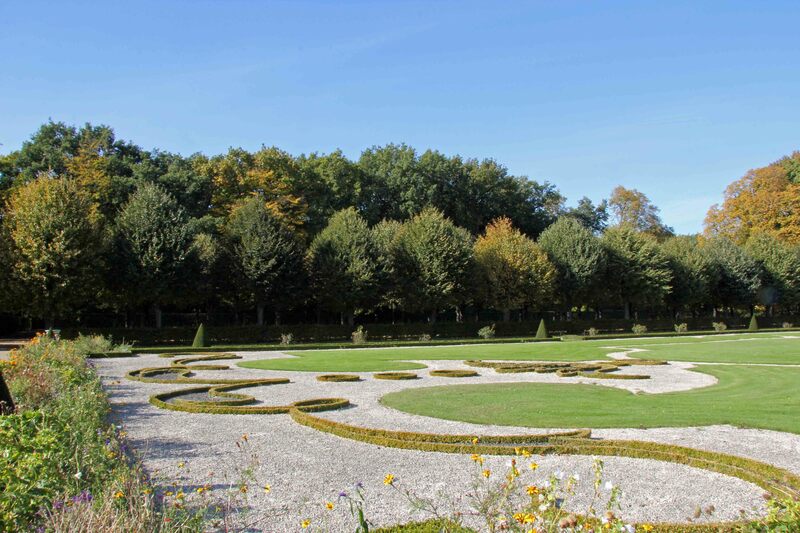 Originally built in 1788 to plans by Karl Gotthard Langhans to serve as a tea house it was rebuilt in 1971, having been destroyed in World War II. 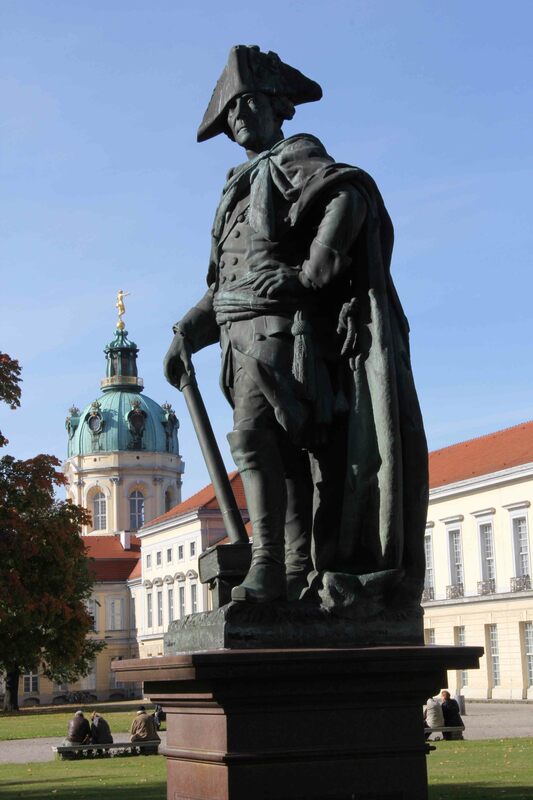 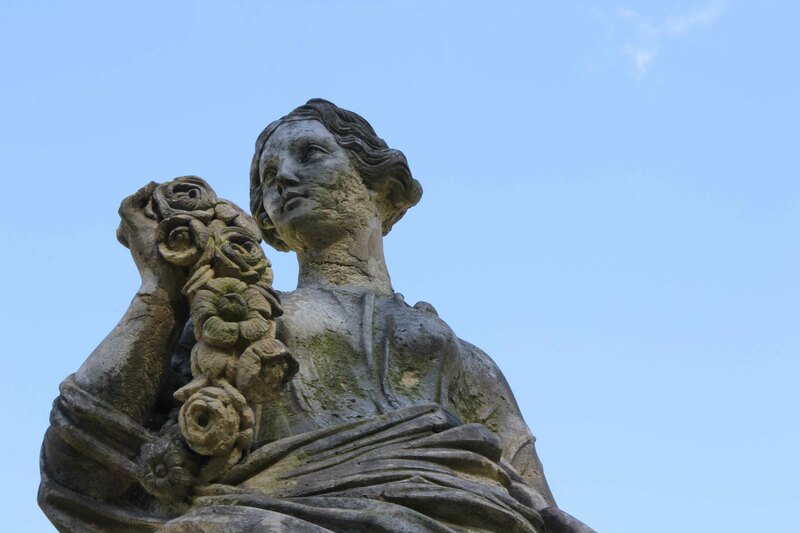 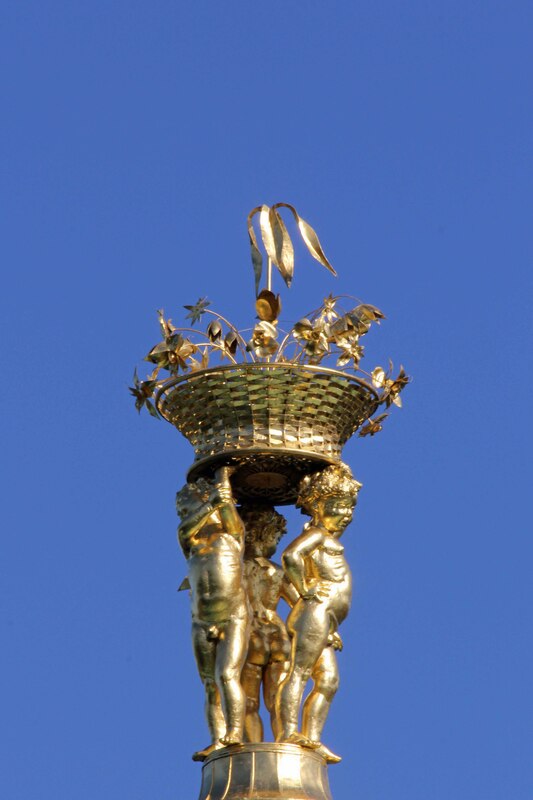 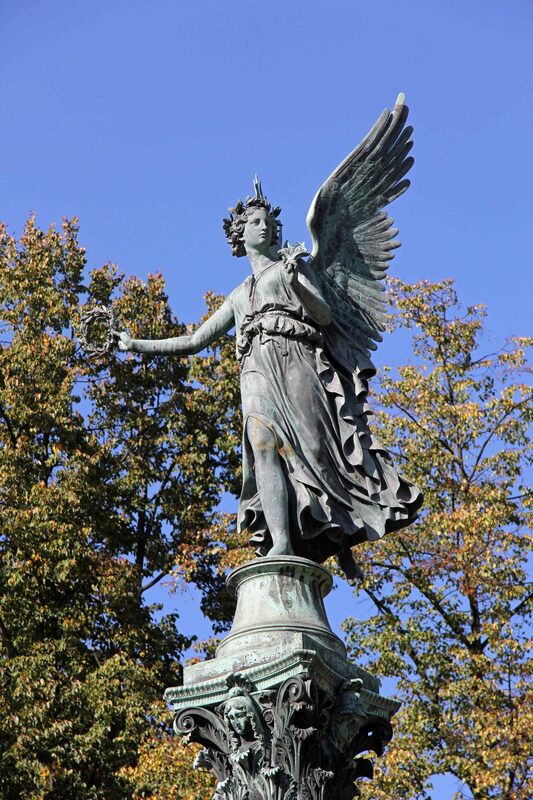 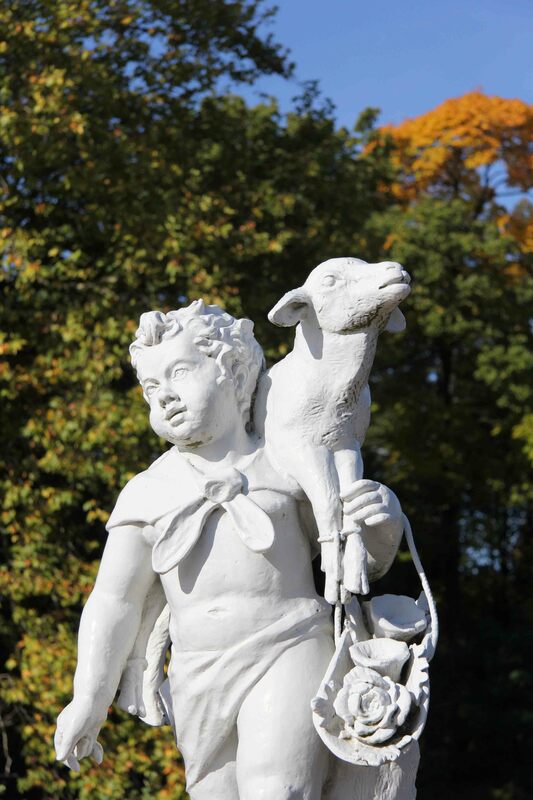 The grounds and gardens of Schloss Charlottenburg are dotted with statues of varying styles. 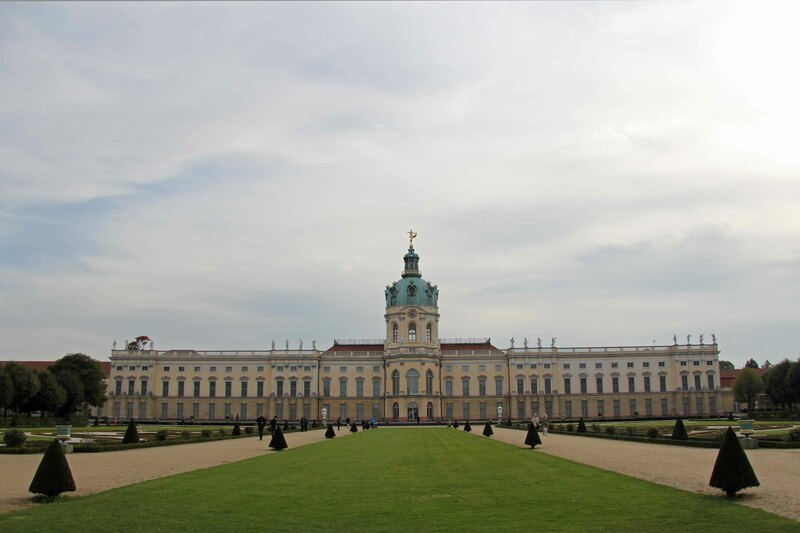 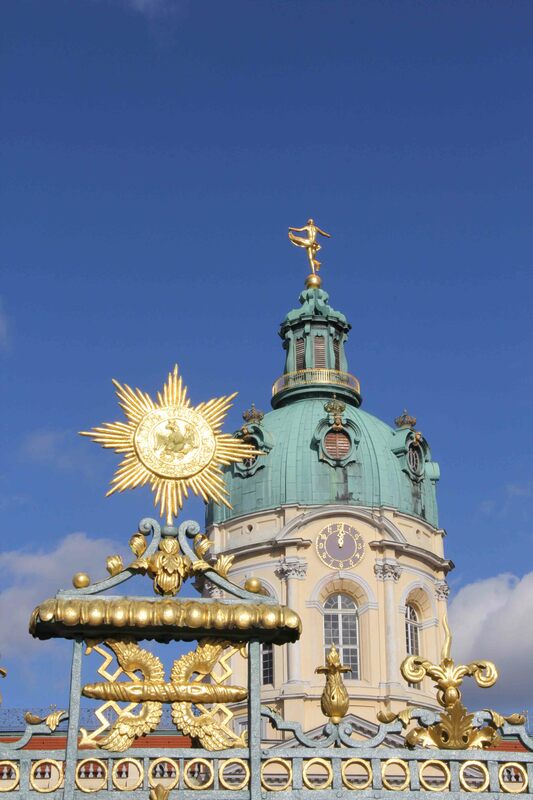 A trip to Schloss Charlottenburg would be on my must see list for anyone who is spending more than a couple of days in Berlin. 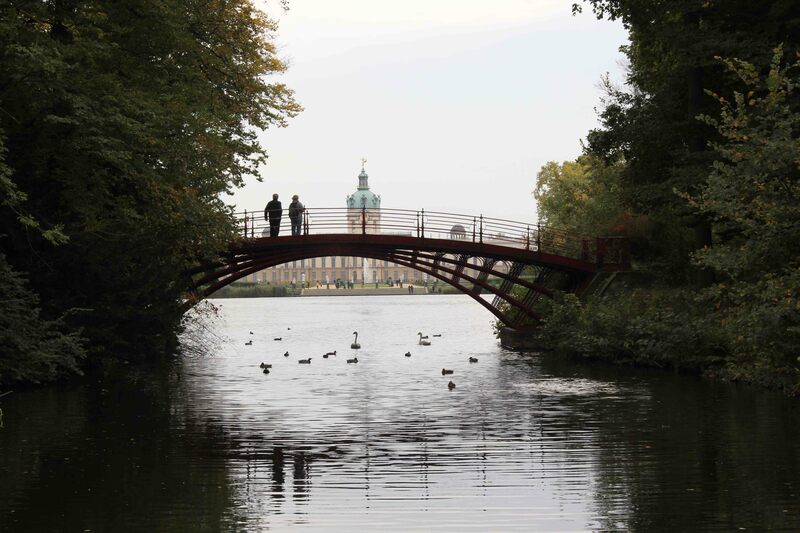 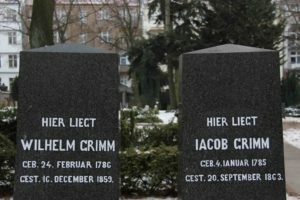 My visit here featured in my Almost 1 Year in Berlin post, a list of my highlights from my first twelve months in the city. 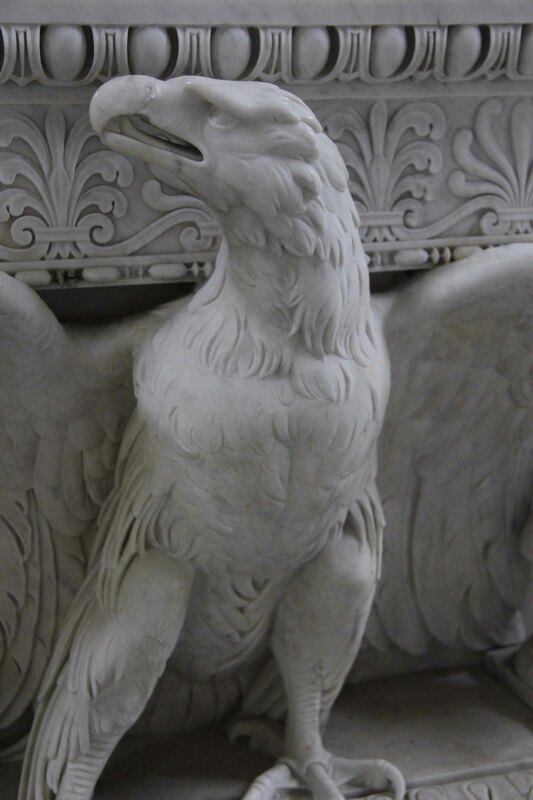 Sunday Documentary: Jerry Springer – Who Do You Think You Are?